of a new belt - Railtek arrived just in time! 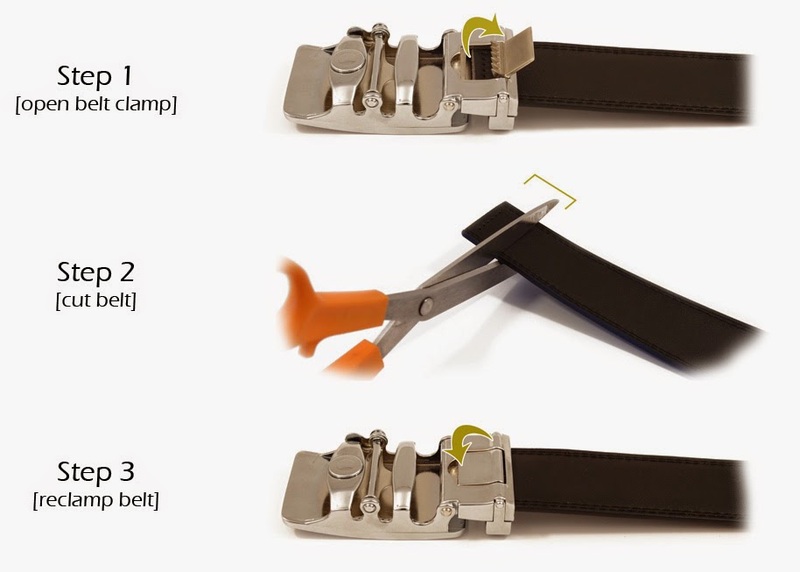 It is easy to customize the belt size to the needs of the wearer. No matter how long the belt is, it can be custom fit to the perfect size. To do this you detach the buckle from the belt and trim the desired amount off and then reattach the buckle (instructions here). This belt micro-adjusts 1/4 an inch in either direction by simply flipping the lever on the bottom of the buckle (instructions here). If the lever seems to be stuck, relieve the pressure by pushing the belt into the buckle as though tightening it, then the lever will flip easier. *PS - I would love to see Railtek come out with similar stylish belts for women as well! Want a chance to win a Railtek belt of your own? Super! Just enter below - must be 18 or older to enter/win. US only please. Prize will not arrive before Christmas. Prize will be sent out from sponsor - ML2R is not responsible for prizes.